Back to this challenge.. 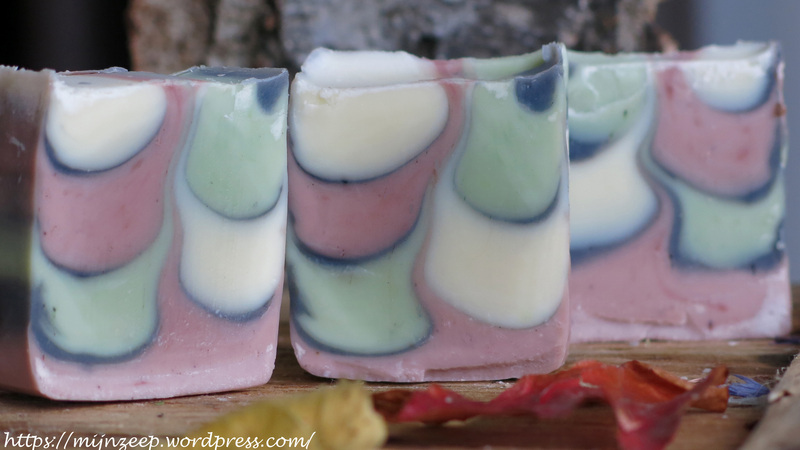 I am not good at making soap when I don’t feel well so I really can’t wait to find some other time to try this interesting technique again for better results. For this time, I had in my mind the Xmas pallete so the natural colourants would be: activated chatcoal, Australian red clay, spirulina powder. Thank you Amy and Tatiana for your time teaching us a technique I wasn’t familiar with and which I certainly will try again! Oh you definitely got a shimmy going on there, very nicely done.! I love your soothing color palette! The black really sets off the colors. Very nice ! I have to make it ! Such pretty soap for such a sad time. I hope and pray for your comfort and peace. I understand how you feel and guess I wouldn’t have been able to concentrate much on anything either. Please stay safe, you, your family and friends! I am sure that everybody’s thoughts and prayers are with the people of France and the people in Europe. 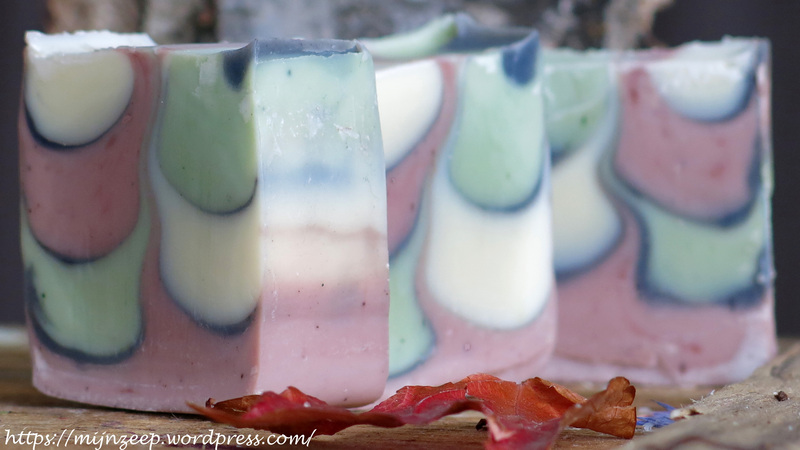 The quiet colors of your soap are very soothing and the fact that you got the S from the first attempt tells how talented a soaps you are, Natalia! Your soap is very lovely and it looks like you got the shimmy right away, great job. Stay safe! Nat, it’s absolutely beautiful! Love the colour combo and it really fits the season! Good to see you in action again! 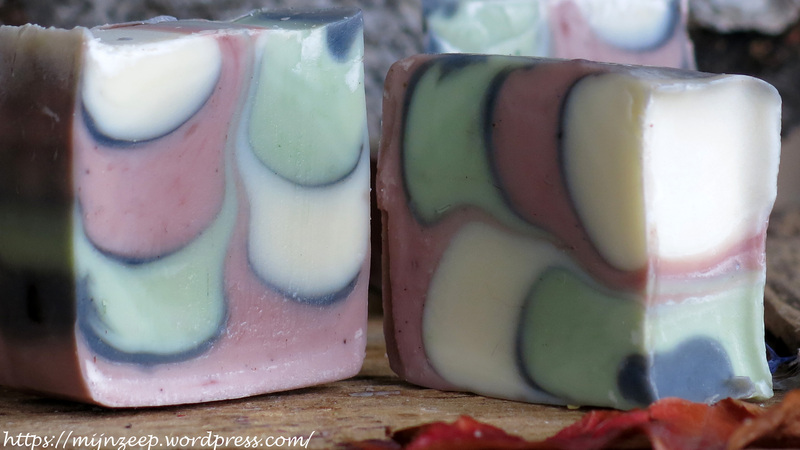 Uaah, those news were awful…once again 😦 But your soap looks so beautiful and bright, once again, so there is no need to try it another time, I think!